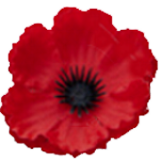 This site is dedicated to the memory of four heroic brothers from Witton Park who served in World War I, three of whom lost their lives. Between them they provide a remarkable legacy. 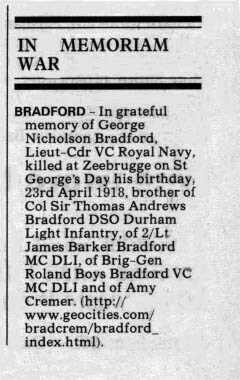 "In Memoriam" notice from The Times of St George's Day 2002. The story of the County Durham family from Witton Park and then Darlington, told by the military historian Harry Moses, B.Ed. Written in September 2004 by General Sir Peter de la Billiere, KCB KBE DSO MC. Heroic Stories from 150 years of the Victoria Cross. Available both in paperback and hardback it has fourteen chapters. by WELCH, T., Major & C. Turley-Smith.